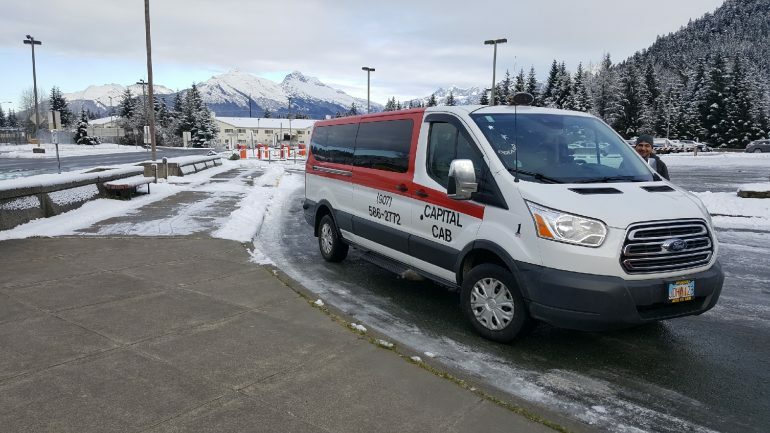 The EverGreen Taxi Capital Cab Taku Taxi is Juneau’s go to taxi service. Call them at 586-2121 and get three services. This will allow for rapid service. Whenever I need a ride I always use their services. They are open 24 hours a day. 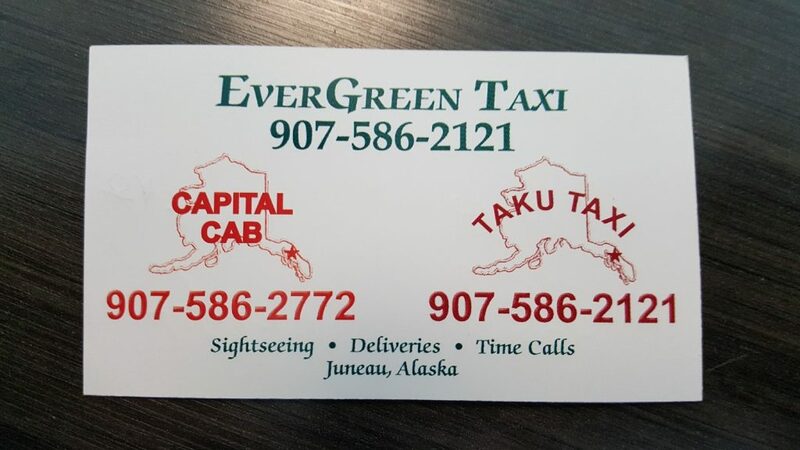 I contacted EverGreen Taxi Capital Cab Taku Taxi most recently for a ride to the airport. My driver was extremely friendly and helpful. For business travelers they will accommodate credit card charges. The driver will even send you a receipt to your phone. I scheduled my taxi ride ahead of time. They always arrive on time when scheduled, so you can be sure to get that ride. The ride from downtown to the airport was about a 15min drive costing me $30 (fare and tip). Downtown Juneau is so small, most things needed are within walking distance. Douglas is just on the other side of the bridge. But when you need to go to the valley you can catch a cab ride. The cab service can even be convenient for a trip to the grocery store across town. I will walk there and then cab it back loaded with bags. All the drivers are local residents who work year round. So by using their service you are supporting the local guy and not some large foreign corporation. If you need more information you can visit their site. I contacted Evergreen Taxi to book a ride to Mendenhall Glacier in Juneau from our ship port on August 31st 2018. I had called multiple times before to confirm the price and the pick up spots the distance etc. I talked to the receptionist and the driver Jim Both quoted around $35 for the trip +tip. The day we got there and got on to the taxi the driver said the entrance fee to the glacier is $17/ Adult and $12/Child..Including for my 4 yr old.We said okay. The driver mentioned that its the FEE for the glacier never telling us we would have to pay her.When we got to the glacier she gave us 2 entrance passes and billed us $17*2+$12*3+$ 38 from the meter total of $108 + tip. When we said that we will buy the pass from inside she said that is not possible. Being tourist and not knowing the details we paid her. When we got inside we saw signs saying the fee is only $5 and the kids are free. Imagine our sunrise and we felt cheated. We had the same driver coming back so on our way back I showed her the sign she simply said to talk to the owner.